Teaching adults can carry some unique challenges for a teacher. Classroom management techniques for adult classrooms may include many of the same strategies as classroom techniques for younger students. However, there are some differences that make it necessary for a teacher to rethink classroom management when teaching adults. Let adult students know what you expect of them. Set expectations so adult students know how you want them to behave in class. Provide them with a list of what they should and should not do. Your list might include barring cell phones, coming to class on time and listening respectfully. Remember that adult learners are also capable of understanding why each item is on the list, so explain to them that cell phones can cause disruptions that make it difficult to focus and learn or that walking into class late causes the class to shift focus. Set goals for the class. Because adults tend to be more goal-directed than younger students, they like to know exactly what they will achieve by performing according to class rules and expectations. 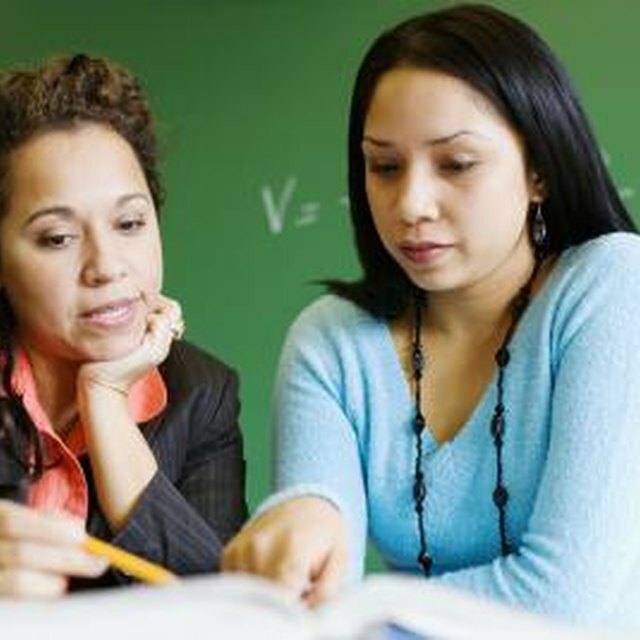 Therefore, teachers should provide adult students with a syllabus that clearly lays out the class goals. A good syllabus will also include assignments, papers and examinations, and due dates for those things. Adults tend to have more complications and commitments, so give them due dates that allow them to plan so they can focus on achieving the class goals when you want them to. Remind young adult learners of your classroom rules. Do not tolerate lax classroom behavior. Because younger adults sometimes believe they already know the class content, they may not take class seriously. A 1984 survey of young adults, published in "New Directions for Adult and Continuing Education," found that many adults taking high school equivalency classes were more interested in getting a diploma than in learning the material, and therefore did only the minimum necessary. A student performing at a minimum standard may skip class, arrive tardy or doze in class. Students must be kindly but firmly informed these behaviors are unacceptable. Unless this type of behavior is stopped immediately by the teacher, other students may believe they can also get away with objectionable classroom behavior. Facilitate class learning and discussion, but don't force it. 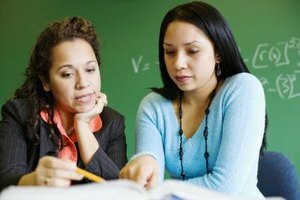 Adult students bring a lot of experience and capability to the classroom, which means they want to be helped to learn, but an authoritative teaching style may not work on them. Consider yourself a helper rather than a director. Gandolfo, Christina. "Classroom Management Techniques in Adult Classroms." Synonym, https://classroom.synonym.com/classroom-management-techniques-adult-classroms-7906079.html. Accessed 23 April 2019.